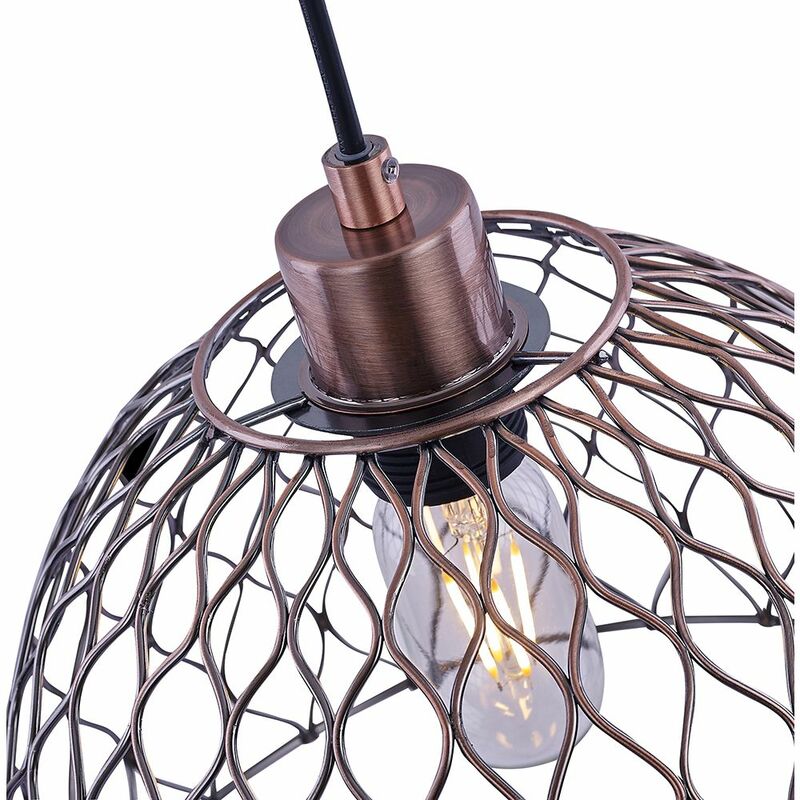 Contemporary and unique pendant ceiling light fitting with ripple effect cage designed shade in an antique copper finish. 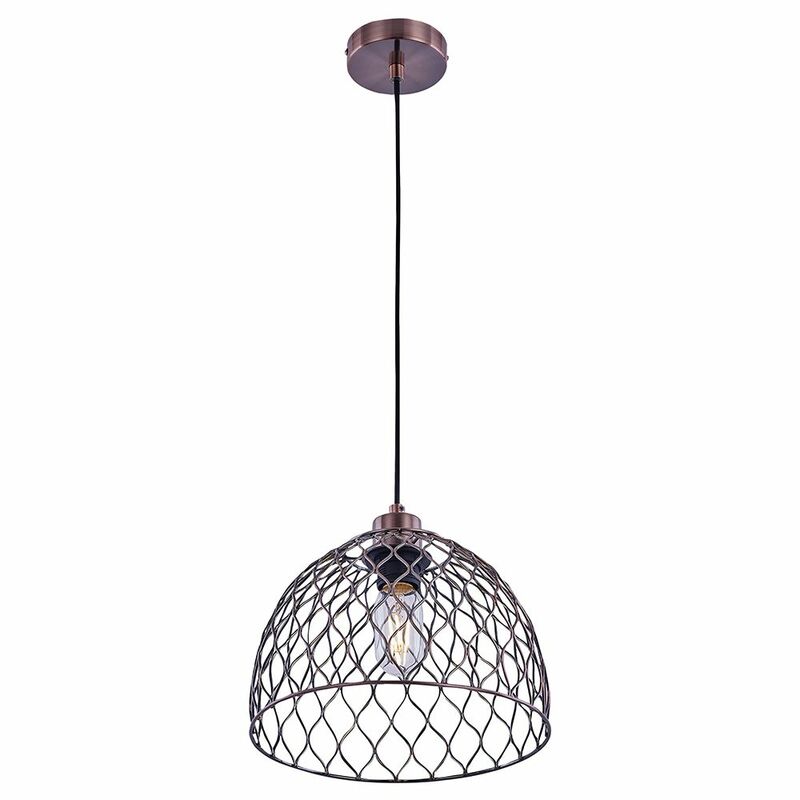 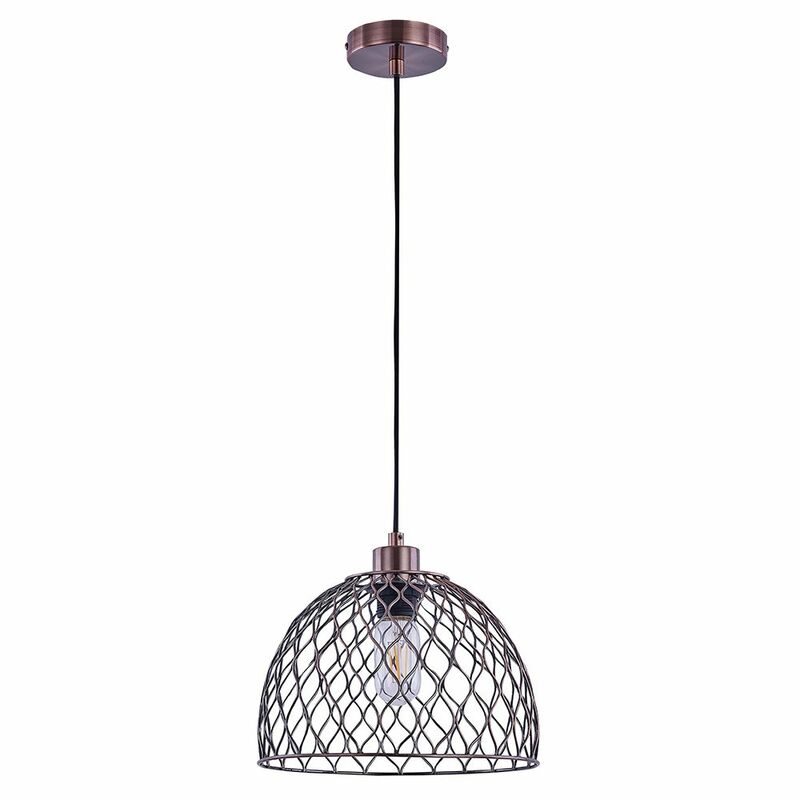 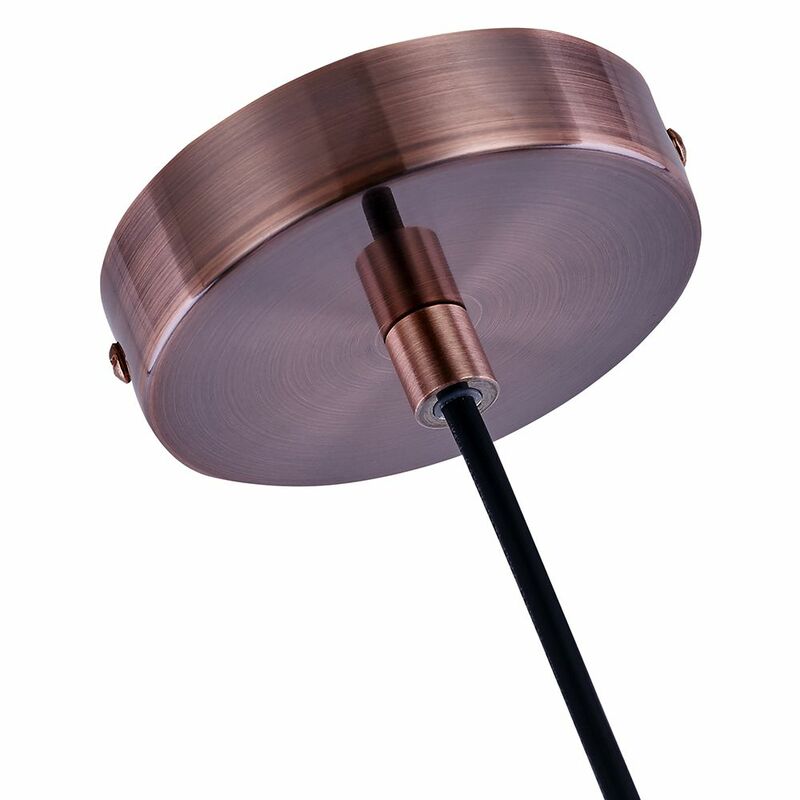 Features contrasting black cable cord and matching antique copper plated ceiling base plate. 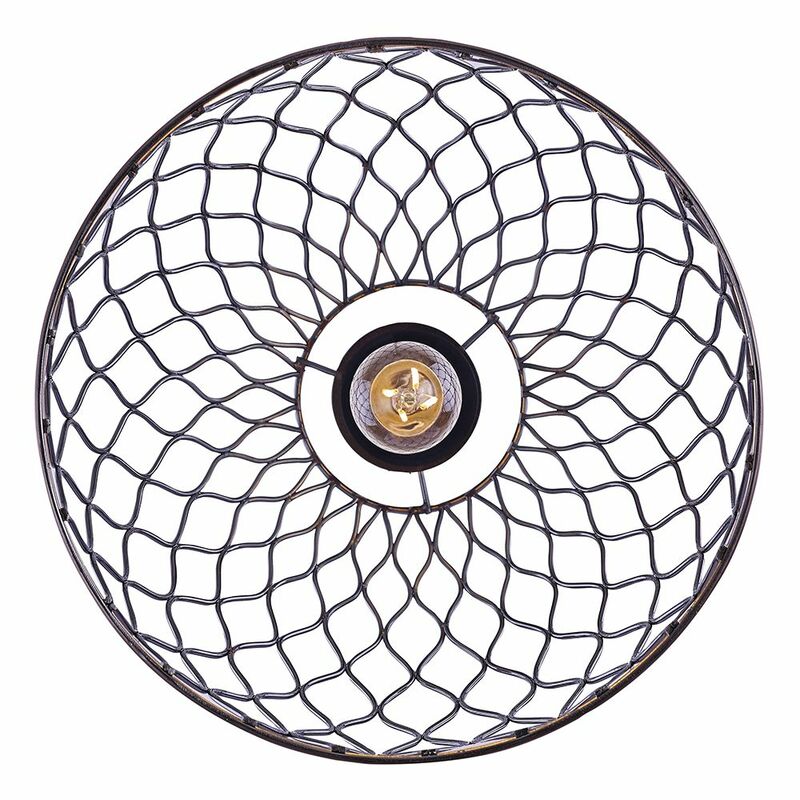 Dimensions: Diameter - 26cm, Height - Maximum - 120cm (can be adjusted at point of installation), Shade height - 24cm.